There’s absolutely no doubt that having a home security system is the best way to keep your property safe. With motion detectors and cameras, it can scare burglars away or identify them for prosecution, if they’re brave enough to target your home. Although a home security system is the best way to keep your home safe, that doesn’t mean it’s the only way to keep your home safe. There are plenty of simple and easy ways you can make your home more secure with or without a home security system. We’ve talked about a few of these ideas before, but we’re always learning more about home security, so we wanted to share a few more with you. 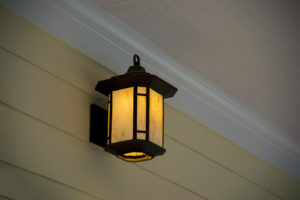 One of the best things you can do to make your home secure is to pay attention to lighting. Certain lighting strategies will keep would-be thieves at bay, even if you don’t have a full-blown home security system. Start with the lights outside. If every corner of your home’s exterior is lit up, there is nowhere for a burglar to hide. With nowhere to hide, they are a lot less likely to burglarize your home. In addition to installing uplighting on your home, you should also install motion detector lighting to alert you to any activity outside. Keep entrance lights on throughout the night too. It’s a lot harder for someone to walk through the front or back door undetected when the lights are on. Keep at least one interior light on throughout the night. If you aren’t going to be home, make sure your lights are on a timer. BeOn home light bulbs make this extremely easy because they learn your family’s habits and automatically turn the lights on and off according to your schedule. There are lots of fancy lock choices out there. Some of them can be controlled by a cell phone, while others work the old-fashioned way. Although you might think a more expensive, fancier lock will protect your home better, that’s not necessarily the case. It doesn’t really matter what kind of lock you have, as long as you use it. So many homeowners think their neighborhood is safe, so they leave the front or back door unlocked throughout the day. It’s even worse when people leave the door from their garage into their home unlocked. Keep your door locked, even if you’re at home. Always keep the garage door locked. Many potential thieves know how to break into automatic garage door systems, banking on the fact that most people don’t lock their interior door. Don’t forget about the windows! Only leave your windows open when someone is at home. At night, windows should only be left open if they are on the second story or higher. Always re-engage the lock when the window isn’t open. One of the best ways to keep valuables safe in your home is to keep your most expensive items away from the windows. But, sometimes thieves don’t need to see a valuable item in order to be tempted to break into your home. The quality of your furniture and interior woodwork can say a lot about the quality of the stuff you have in your house. A good solution is to keep the blinds and curtains drawn at all times. If you want to let a little light into your home, open the blinds and curtains during the day when no interior lights are on. It makes it nearly impossible to see inside. Then, close the blinds and curtains at night. Another rule of thumb you can live by? Keep the shades drawn on the main level, but open the curtains on upper levels during the day. It’s a lot more difficult for potential thieves to peek into second and third story windows, even if they’re open. Pets are sometimes overlooked when it comes to home security, but the truth is, you don’t have to have a Rottweiler to get the same guard dog benefits. Even the smallest dogs will bark when something is amiss. A small Chihuahua may not be able to scare an intruder away, but his barking may be enough to wake you up so you can call the police. It’s not just dogs that can alert you to possible danger. Even cats can! A cat is a lot less likely to attack an intruder, but if someone does manage to sneak into your home, you can bet that your cat will start acting weird. Many owners find it reassuring to sleep with a feline. If all is well, the cat will snooze comfortably at the end of the bed. If something is amiss, they will suddenly become alert. 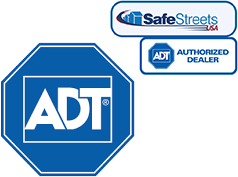 If you have a home security system, make sure you use the signs that come with it. Post one in your yard in plain sight and put decals on your windows. Most thieves won’t give your home a second look if you advertise the security system you’re using. You don’t have to have a home security system for this tip! 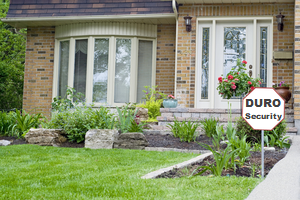 Post home security system signs in your yard, even if you don’t have one. Chances are, a potential thief won’t want to come in close enough to look and see if it’s true. The good thing about these tips is that they are just as effective when used with a home security system as they are without one. They’ll provide you with a little extra peace of mind too, knowing that you’re doing everything you can to protect your family and your belongings from intruders.